These boots are made for winning. Literally. 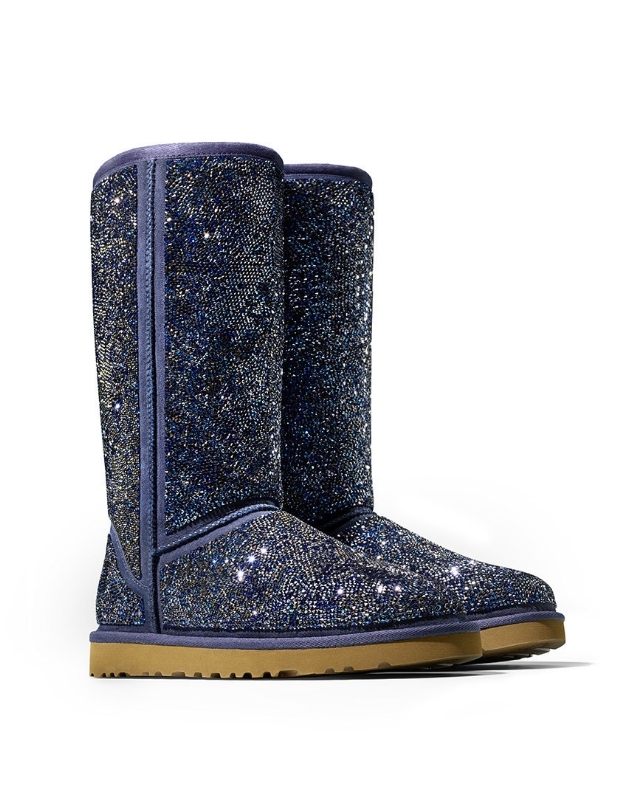 They're the grand prize in UGG's Second Annual #Glitterati Challenge II. To win them, just go into one of 31 retail locations from January 18- 31 and and guess how many Swarovski crystals adorn the displayed custom UGG Classic Tall boot. The entrant who guesses closest to the correct number without going over wins a pair of $4,900 crystal-encrusted boots. The second place winner will receive a $500 UGG gift card, and third place gets you one for $250. There's no purchase necessary to win. Gotta love that part. Click here for participating stores.